Get the Nanaimo Well Drilling Cost ONLINE! We offer Nanaimo area property owners full access to the current 2018 Nanaimo well drilling costs without the requirement of a high pressure sales visits to your property. Request a DETAILED estimate for the cost to drill a well in Nanaimo and the surrounding areas from Bowser through to the Chemainus area. We ask you to provide as much information as possible when sending your request for a well drilling estimate request form. Our request for information will help us prepare a more complete well drilling cost estimate in the Nanaimo area. Please submit your information, we'll respond quickly. Your information is private and helps up provide a complete and detailed quote for the 2018 Well Drilling Costs in Nanaimo. Nanaimo Well Drilling provides professional water well drilling services in Nanaimo and the surrounding Central Vancouver Island area including Nanaimo, Parksville, Qualicum Beach, Coombs, Qualicum Bay, Bowser, Errington, Port Alberni, Nanoose Bay, Cedar, Yellow Point, Cassidy, Ladysmith, Saltair and Chemainus. We are also the #1 choice in Nanaimo for well pumps, well pump installations, and well pump repairs for both deep and shallow wells systems. Drilled water wells in Nanaimo play a huge part in everyday life for many property owners in the community, hundreds of local families, including large agricultural operations, hobby farms, and many local businesses rely on aquifers and ground-water resources throughout the area. The installation of all well pumps in Nanaimo are completed to a high-standard of workmanship. If you have a well pump problem in the area, we provide fast service! Our Nanaimo Well Drillers depend on their extensive well drilling expertise and dependable knowledge when drilling wells in Nanaimo. Our water well drilling crews are highly experienced with large variety of sub-surface and substantial variety of geological environments when drilling for water in Nanaimo. Local well drilling experience is required to successfully complete drilled wells. Expert well development is crucial for long lasting well wells and to manage the well drilling cost in Nanaimo. We avoid drilling excessively deep on the island whenever possible and aim to eliminate as many water well problems as possible. Drilling overly deep will increase the overall well drilling cost in Nanaimo. Our well drilling practices are always ethical making it more cost effective for local property owners. Nanaimo Well Drilling & Well Pump offers priority and emergency services to Nanaimo, Parksville, Qualicum Beach, Coombs, Qualicum Bay, Bowser, Errington, Port Alberni, Nanoose Bay, Cedar, Yellow Point, Cassidy, Ladysmith, Saltair and Chemainus. We drill for water in Nanaimo during all seasons including winter. Nanaimo Well Drilling is fully aware that the well drilling cost is large investment for many, we always give our best effort to locate the most productive fresh water source before drilling on most properties. We do everything possible to not drill-dry-wells or hydro-fracture local water wells, it does create additional profits for well drilling companies, but it’s generally not warranted. We will always choose integrity over profits. We work to keep the cost to drill a well in Nanaimo as reasonable as possible. We find that professional water well siting will usually solve most potential dry well issues and often reduce drilling depths. We know the significance of quality water systems, it cannot be understated, wells are tremendously important for many properties to thrive. Our aim is to construct water wells that stand the test of time! Even the value of a property could be reduced by the lack of a reasonable water-supply or an existing old sub-standard dug well and, for good reason if you've ever had to haul water to maintain your water needs through the hot summer months. Nanaimo Well Drilling is fully transparent with our well drilling cost estimates, we refrain from all well drilling practices that are not in the best interest of our clients, our goal is to provide great results! Well Drilling Nanaimo is totally prepared to handle all drilling projects regardless of size or requirements. We're experts in domestic well drilling, commercial water system projects, and larger diameter production wells for Nanaimo agriculture sector. Completely equipped and prepared to drill in any formation, we’re also set-up to drill for water in remote island locations where traditional well drilling rigs cannot access, we can utilize our Heli-portable HT-500, HT-700 and our HT air-compressors. No problem with large projects either, we have DR-24 Barber drills that will drill from 6” to 22” diameter and up-to-depths of at more than 1,000 feet. 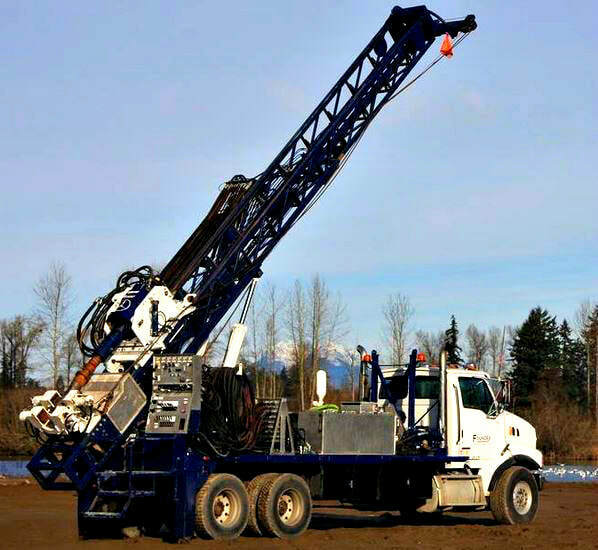 Nanaimo Well Drilling has engineered and constructed innovative well drilling equipment to meet all well drilling requirements, with the ability to fully perform on very specialized drilling projects. We appreciate our local clients and proudly drill premium water wells throughout the Nanaimo and Central Vancouver island region, but the ability to provide local water well services would not be possible without our local well drillers and well pump experts, they truly care and enjoy proving top notch service throughout Nanaimo, Qualicum Beach, Coombs including the Ladysmith - Chemainus area. Most property owners know through experience that a quality producing water system is priceless! 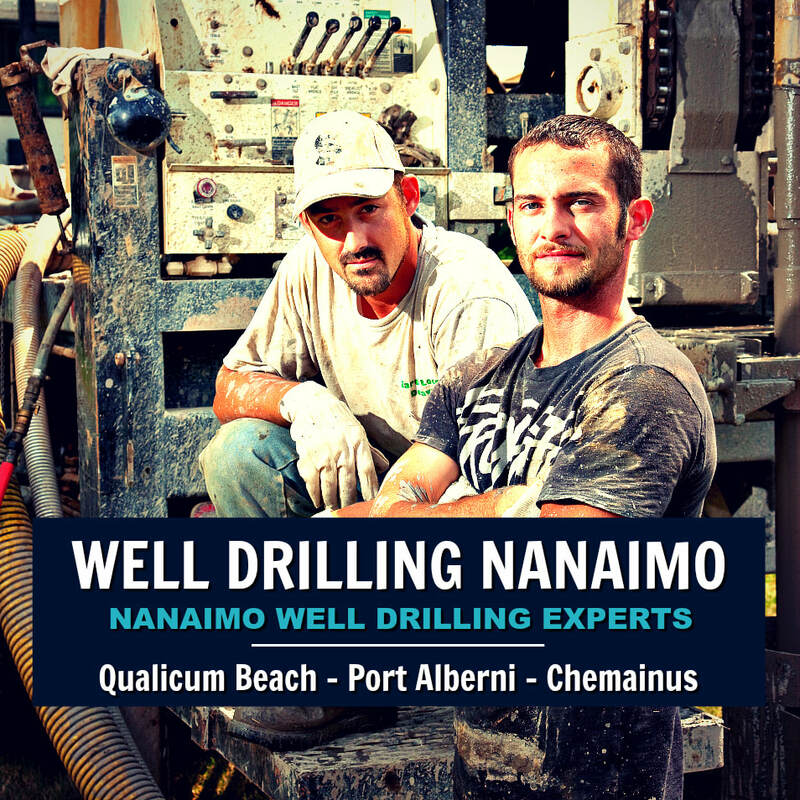 Call Nanaimo Well Drilling or request a detailed FREE online Well Drilling Quote. We also offer quick well pump replacement and well pump repair estimates. 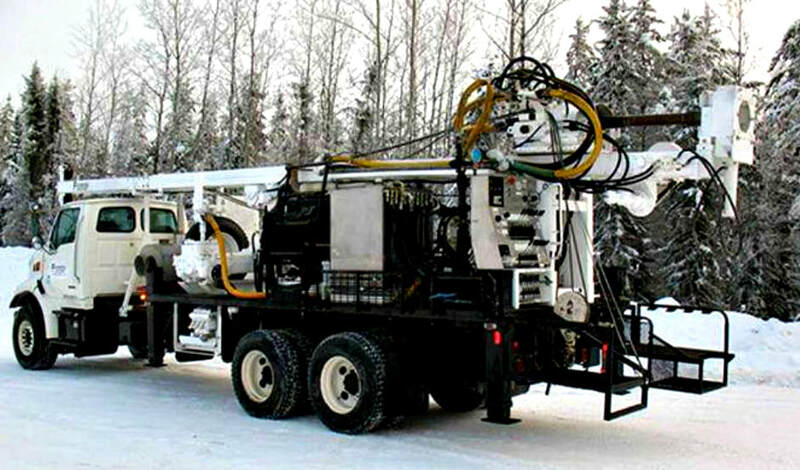 Most Nanaimo Well Drilling clients prefer to use our full-service water well system programs, we are pros at managing well drilling projects from beginning to full-completion including the well pump and water system construction in Nanaimo. Our local water well services eliminate the stressful and costly well drilling problems often experienced by property using multiple water well contractors often not communicating with each other or working together for the benefit of a property owner. We keep our well pump services on Vancouver Island affordable and simple with our one-stop water well service in Nanaimo, Parksville, Qualicum Beach, Coombs, Qualicum Bay, Bowser, Errington, Port Alberni, Nanoose Bay, Cedar, Yellow Point, Cassidy, Ladysmith, Saltair, and Chemainus. Specialized Services include Nanaimo Geotech, Geotechnical Services and Geotechnical Engineering. Nanaimo Well Pump is often called on for emergency well pump services. Many well pump systems often indicate that your well pump may be nearing the end of it's life. It may be time to replace or update your water well pump. Don't wait for an emergency well pump repair in Nanaimo, they can be very costly and often untimely. Need a new Water Well Pump in Nanaimo? If your current well pump system is aging it might be time to replace or update your water well pump. It's good to consider a well pump replacement during the winter months or even early spring. Our mild Island weather is great for our well pump experts to work all year, the summer months heat up with not only a massive demand for well drilling but for local well pump services, well pump repairs and well pump installations. We are experts at well pump selection, sizing along with custom design and building of complete water systems to meet any requirement. All Nanaimo Well Pump installers are fully certified and highly qualified to handle all water well pump projects. Nanaimo Well Pump has fully stocked service vehicles and well pump installers and service department. We maintain a complete inventory of well pumps and water system components to handle well pump installations and well pump repairs in Nanaimo quickly. We take pride in arriving on site prepared to handle sudden local well pump problems. We are rarely called to a site and having to leave while you wait for us to locate the appropriate parts to complete local well pump repairs in Nanaimo. We are experts with installations of constant pressure systems as well as traditional water wells systems that require a pressure tank and pressure switch in Nanaimo and the surrounding Vancouver Island area. Where neatness counts you can count on us! Our refined well pump installation process minimizes untidy messes during both the well drilling and well pump connection. Because of our reputation for quality we primarily specialize in water well pumps for Nanaimo and the Central Vancouver Island. However, do network with other reputable professional well pump contractors throughout Vancouver Island, we're happy to email or text to you a list of our recommended pump installers in your area. Commercial water pump installations in Nanaimo area will generally require a considerable amount of data collection with a very clear understanding of the operation and characteristics of a commercial application to correctly design and select the best well pump or water pump system to handle the job efficiently. Every water pump system we design is unique and usually requires a wide-range of flow and water pressure objectives that requiring assessing well in advance of the pump equipment selection phase. We don't completely rely on our own water system advice, we also implement various water pump selection software that correctly summarizes important well performance characteristics. When it comes to well pumps and commercial applications in Nanaimo and Central Vancouver Island we are knowledgeable and experienced with variable-speed-drives and will select a well pump or water pump system that is not only efficient but exceptionally durable. Golf Course well pumps for Nanaimo Golf Courses or reservoir water pump systems normally operate quite differently than the average well pump and water pumping system. Obviously, these relentless water pumping conditions require golf course well pump equipment to operate problem free meaning all water pumps and other equipment needs to be selected and installed professionally with good well pump and installation warranties. Selecting correct water pump and motor combinations will generally provide substantial long-term use for local Vancouver Island Golf Courses and reduce the cost of operating. Generally, a golf irrigation manager is not trained of certified to install well pumps or water pump systems. Municipal water pump systems are generally the most technically advanced pump installations projects that we do. We have a fantastic working relationship with other island experts who also offer emergency service including a host of other water pump, well pumps and water well services tailored to meet the Vancouver Island municipal and large system markets. We have have the ability to act quickly and provide custom water pumps and pump motors generally within a few hours upon request. In the rare circumstance that a product cannot be obtained we also have a deep pool of temporary water pumps and pump motors to meet emergency situations. Nanaimo Well Pump specialize in local water systems including water well repairs, well pump repairs, submersible pumps, booster pumps, jet pumps, irrigation pumps, sump pumps, sewage pumps, pressure tanks, pressure switch replacement. We can quickly sort our low-water-pressure problems, holding tanks, water reservoirs, water well filtration systems, water line repairs and water wells that have run dry. We service all water well problems quickly throughout the mid-island area offering priority service to our clients in Nanaimo and the surrounding areas from Bowser right through to Chemainus! Give Nanaimo Well Pump a call today or request a FREE online Well Pump Quote for Nanaimo or Central Vancouver Island. With any water well drilling method in Nanaimo, the permeability of the formation around the borehole is reduced. Water well development in the Nanaimo area is demanding and critical for quality water well completion to maximize the efficiency of a water well by rehabilitating the aquifer after the disruption of the well drilling and installation process. Fine-particles surrounding a well-screen must be removed from the area to increase the permeability of the aquifer, with the use of air and our unique surge methods at Nanaimo Well Drilling we greatly enhance our water well development procedures! 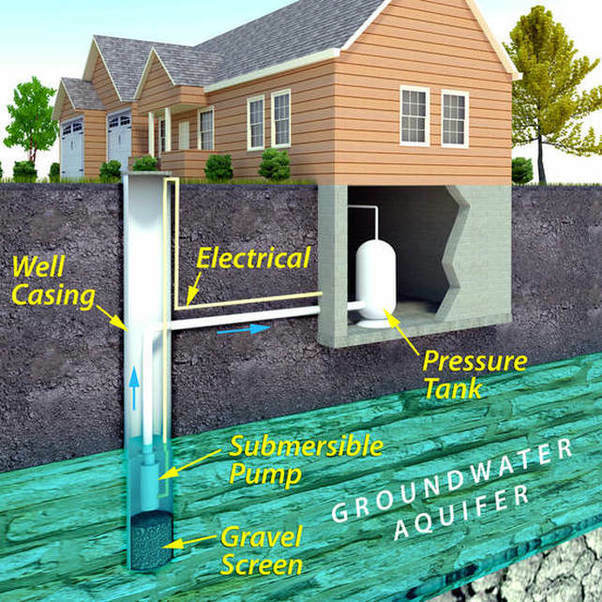 Nanaimo Well Drilling understands the importance of water well-screen design, careful selection of a well screen is, without doubt, the most important consideration when constructing an efficient water well. A properly selected well-screen is designed to serve two basic purposes: to allow the un-obstructed entry of clean water free from sediment into the well, and to permit a maximum flow to the formation for water well development procedures. 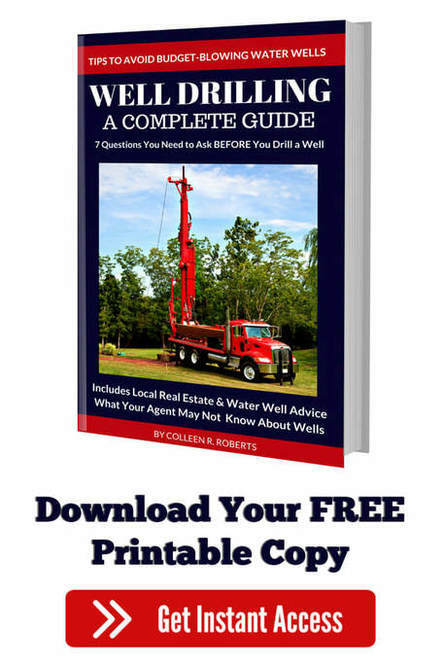 Please request a copy of our soon the be released Water Well Drilling Guide. Well Drilling Nanaimo is up-front with all water well drilling cost quotes, we refrain from well known well drilling practices that are not in the best interest of the public. We value integrity and work diligently to delight our customers! Any questions, please contact us or request an online well drilling quote. We return phone calls quickly, we are here to serve the families and local businesses of Nanaimo and Central Vancouver Island. 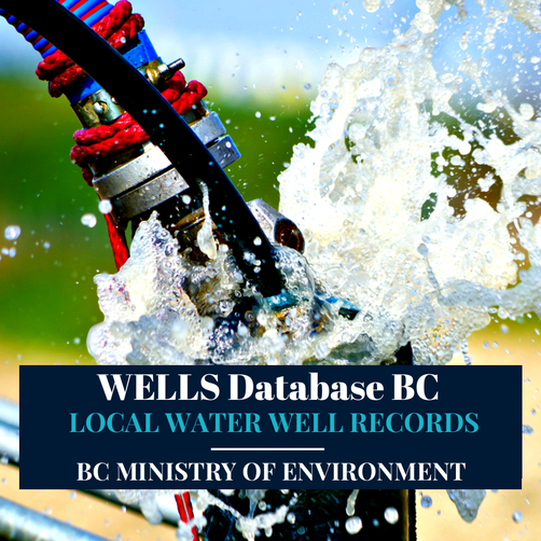 BC Ministry of Environment WELLS Database Nanaimo, Parksville, Qualicum Beach, Coombs, Qualicum Bay, Bowser, Errington, Port Alberni, Nanoose Bay, Cedar, Yellow Point, Cassidy, Ladysmith, Saltair and Chemainus. The WELLS Database and well drilling regulations for Nanaimo and the Vancouver Island communities is regularly updated and managed by the British Columbia Ministry of Environment. The provincial government's iMapBC is an important online portal to a wealth of open government data for the Nanaimo area. A valuable water resource, WELLS Database Nanaimo is a self-serve online system, free of charge - available for public use, it you need any help please feel free to contact our office, we are always happy to help or answer questions. Along with the British Columbia Water Well Regulations, Resources and the Nanaimo Well Search Tool, you'll find the provincial land-use requirements, setbacks, Vancouver Island Health Authority Links, BC Water Rights Database and other pertinent Central Vancouver Island water information and regulations with reports to download and other important website links. Well Drilling Nanaimo provides BC Well Drilling Regulations for Central Vancouver Island; Canadian Drinking Water Guidelines is included in the official WELLS Database Nanaimo Water Resource Library is hosted by Nanaimo Well Drilling & Well Pump Services. British Columbia Water Well Regulations and the Ministry of Environment set-backs for water well in Nanaimo and the neighboring communities are required to protect water resources from becoming contaminated from a multitude of possible sources. To understand comparable well drilling depths in Nanaimo, it's best to locate the BC Ministry of Environment set-backs and refer to your local resources including well drilling reports, resources are available at British Columbia Water Well Search and local community bylaw offices.